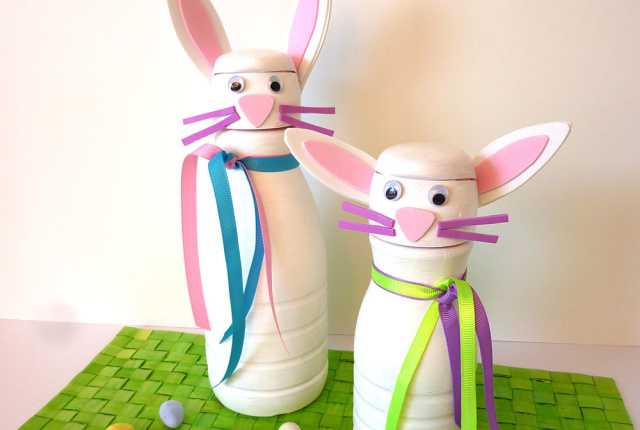 This is a fun and easy little puppet to make. 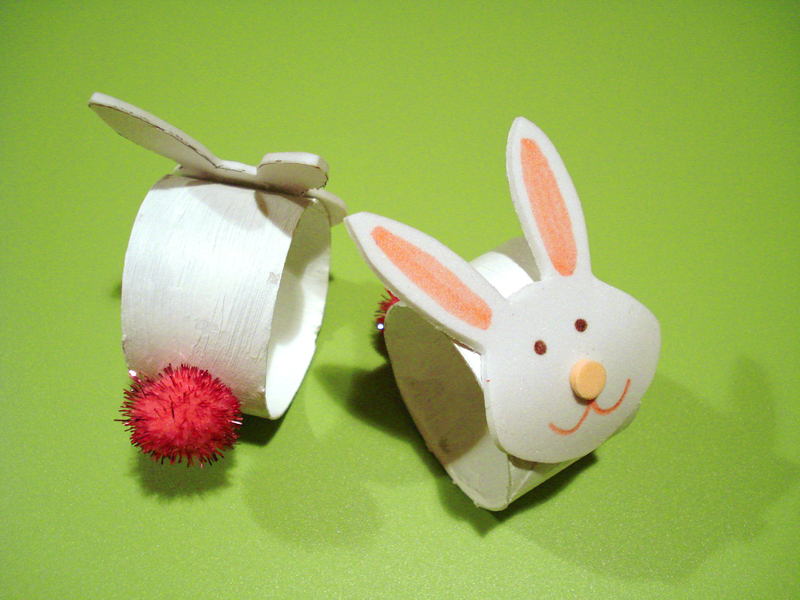 Few materials required for this little Bunny puppet and it can be fun to play with any time of the year. 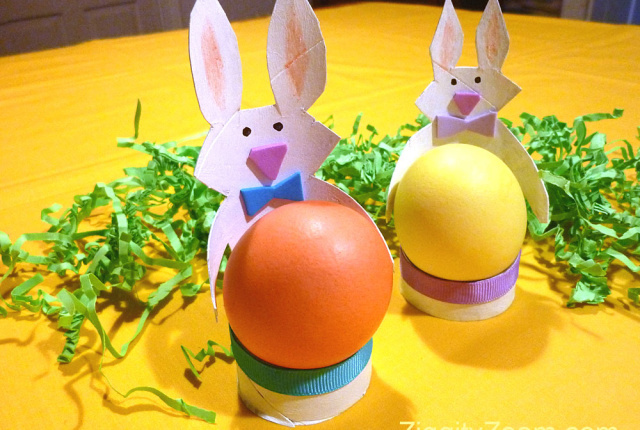 Great Easter activity. Lay sock on table with heel facing up. Make a cut from the toe of the sock, all the way to the beginning of the heel. Make sure you cut right through the center of the foot section, so that you will have two equal Ears. Turn the sock inside out and then, using a whip stitch, stitch each ear together. 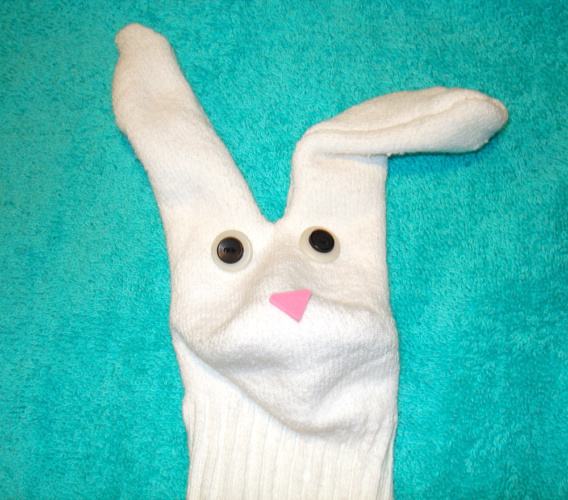 Turn sock right side out and then cut nose and glue on with white or tacky glue. You can also use sticky-back foam and just press into place. 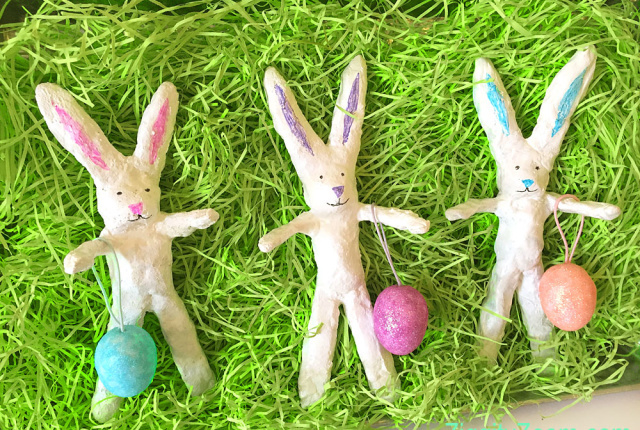 If using felt or wiggly eyes, glue into place and let dry. If using buttons, stitch into place. We used a small black button on top of a white button for each eye.